Are you spending too much time selecting impact metrics? Learn how to choose impact metrics for your organization, programs or projects beyond just IRIS or other standardized metrics. And discover how a comprehensive cloud-based solution can help make that process accessible, efficient and effective, regardless of size or level of expertise. Are you foundation, nonprofit, social enterprise, or corporations? Is your program taking a lot of time research select most relevant social impact metrics? If it takes months, even years to define and refine relevant social impact metrics, perhaps you are not using a right research approach. While standardized metrics can help organizations do so, how do you find the most relevant standardized metrics without pulling hair? In the age of Google, researching and finding ideal metrics for any impact objectives shouldn't be this difficult. It no longer is. The SoPact ImpactCloud®, which includes the world's most comprehensive impact search engine, enables practitioners across sectors to efficiently search thousands of metrics suitable for philanthropy, CSR, impact investing and more. The end result? Users can find and establish the most relevant metrics, for themselves and their stakeholders in a much more reasonable amount of time. What is it that makes this search engine so powerful? Its searchability is nuanced, intelligent and customizable. Something you expect from something like Google but until now has been severely lacking in the impact space. Let’s take a deeper dive into the improved search world that awaits you. What you should know about Standardized Social Impact Metrics? What are IRIS Metrics and their Associated Challenges? IRIS Metrics are standard metrics managed by GIIN and designed for impact impact investors and small & growing business (SGB) for impact reporting. These 520+ quantitative and qualitative metrics are commonly used by SGB for Impact Investment reporting . While impact investors love using IRIS Metrics, one of the challenges with implementation is their limited context-specific relevancy. To find the right metrics for your organization, the tools you use need to speak your language and understand your context. With the Sopact Impact Cloud, we've designed it so that it understands your language, it makes suggestions, and understands what you’re trying to say even before you say it. It guides you from ambiguity towards clarity for any of your metrics needs. To give you more clarity on what we mean, we’ll walk you through 9 of the features behind the search engine. And we’ll use social enterprise startup Thrive Natural Care as a case example to take you through each feature in a more hands-on manner. Delivers a “regenerative” business model designed to improve everything the business touches, from its farms in Costa Rica, to the skin on your face. General indicator areas they measure: soil health, ecosystem biodiversity, farmer livelihood, community vitality. As with any research process it helps to know what’s out there and what’s trending before diving too deep. You could call this “taking the pulse,” a good way to build contextual arguments for the relevance of certain metrics over others. Let’s say Thrive’s founder logs into the SoPact ImpactCloud. 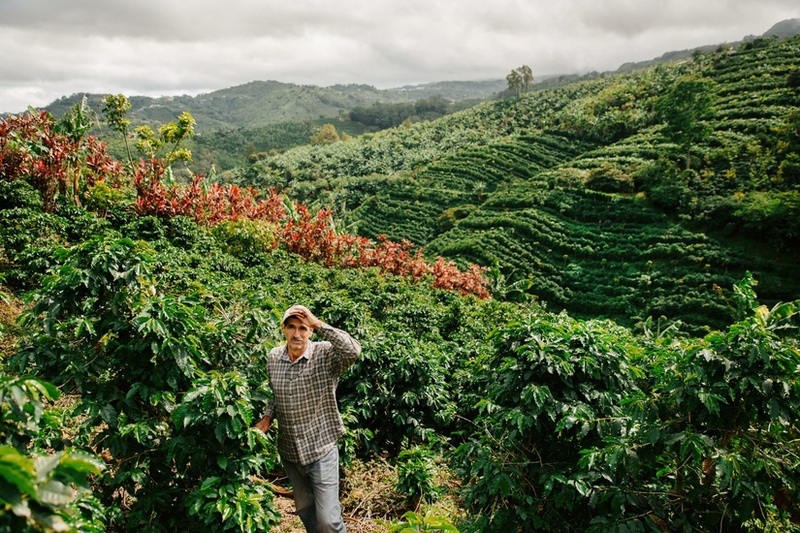 He’s just returned from Costa Rica with all kinds of insight on what’s important to the farmers and their communities, and just how their agricultural practices can improve soil health harvest after harvest. How might he translate those insights into metrics that his impact investors are also aligned with? He can start by perusing the metrics catalog rankings. As more and more users interact with the catalog the rankings adjust accordingly. The most researched/used metrics will rise higher in the rankings and facilitate a more efficient “taking the pulse” process on current trends across sectors. Not sure how to spell something? Or maybe you just tpyed too fsat! No worries. Like the human brain, the SoPact ImpactCloud takes your tpyed too fsat and knows you simply typed too fast. So whether you’re a fast typer or you simply don’t know how to spell something, typo-tolerance will save you and your team time, search after search. Part of the issue with many metrics catalogs is that you have to know exactly how to define what you’re looking for in order to find it. Not very helpful when in the definition process of your metrics. For example, let’s say Thrive works with farmers to ensure their income rises and that this has a positive effect on the family. Family size would be an important metric to track within this impact scheme. The Thrive team types “farmer family size” into the IRIS catalog on the IRIS website and is frustrated by no results. They do the same within the SoPact ImpactCloud and get a bevy of results. Why? Our Synonym feature works to automatically relate similar terms to your search terms, so that what the Thrive team might find is IRIS metric PI4548: Client Household Size. This captures the farmer and the family, but in different terms. describe similar concepts and if we don’t find what we’re looking for in a metrics catalog we may assume it does not exist. Then we may resort to more generic metrics that do not capture the true measurement we would like to understand. This ultimately dilutes the quality of our data, our reporting, and perhaps ultimately, our service. See the table below for more examples. Business is getting ever more global. Even small startup teams are often spread around the world. So what happens if a Thrive team member from Costa Rica signs on to figure out how they might better measure their farmer capacity building programs? Let’s say they search, "Número de participantes" to start with because they find it easier to think and write in Spanish. No problem. Because our search feature is a true polyglot. With 100+ languages, you and your non-English speaking teams have access to the same comprehensive database as any English speaker in Silicon Valley. Most of us, and those on our teams, at least know which sector we’re operating in (area of focus). More savvy teams might also know the difference between outputs and outcomes, or the various metrics standards that exist (like IRIS metrics, Sustainability metrics such as GRI and SASB, Sustainable Development Goals - SDG etc). Those users who already have a head start on this knowledge, can take advantage of the filters and facets feature of the search engine. These drill down features (you’ll experience them as various checkboxes) allow users to filter results down into specific categories, from area of focus, to metrics standards, to Theory of Change step, and more. So what may be at the top of the list with the term “land” and focus category “Environment”? IRIS metric OI5929: Biodiversity Assessment, something that Thrive needs in order to track the performance of their restorative agricultural practices on and around their farmland. Have you ever tried to speak to someone about a topic you knew a lot about, but they didn’t? It can be hard to communicate when you’re using a technical language that they are not familiar with. But they can probably follow along given the context clues in your conversation. Like you and your friend, the SoPact ImpactCloud uses context to decipher what other impact metrics catalogs likely cannot. For example, let’s say Thrive implemented a feedback protocol with its farmers complete with incentives to encourage high response rates. They’d like to demonstrate the execution of this protocol in their impact reporting so they search the IRIS website catalog for “feedback client” and get nothing. Discouraging. They search the Sopact ImpactCloud for the same, and because the SoPact version uses advanced language processes (and has indexed not only IRIS catalog but many other standards like GRI, Guidestar, GIIN, Robin Hood, BOND, UN-SDG etc), IRIS metric OI5049: Client Feedback System appears. What you want in a search engine is to be able to throw keywords at it without having to guess at the exact phrasing used in the actual metrics. With the Sopact ImpactCloud you’ll never have to deal with this guess work. No one knows our users like we do. We live and breathe impact every day. Just as you do. That’s why we’ve also customized the search engine to return results within a rankings system based on our own impact expertise. In other words, what shows up at the top of your results is ordered in an intelligent way, based on more than just textual relevance! Let’s look at this in simpler terms. Let’s say Thrive searches for “microfinance” to find metrics relevant to a financial support program they may have for their farmers. The SoPact ImpactCloud contains numerous metrics that could be useful for this keyword. With our customized rankings, the metrics that are most likely to be relevant to you will appear at the top of this list. For example IRIS metric PI3687: Jobs Created at Directly Supported/Financed Enterprises would take precedence over something like IRIS metric PI5965: Number of Housing Units Financed because we’ve customized the first metric to have greater relevance for most of our users who search “microfinance.” We base these custom rankings on our own business data, having worked in the impact space for years, and continually improve this customization as we get more data. We make an effort to get to know you. Partly because you inspire us to do what we do, but also because knowing you better makes us better at serving you. For example, something as simple as knowing whether you run a nonprofit or a for-profit social enterprise feeds into how we optimize your search results. In the case of Thrive, we know they are a for-profit business and likely have impact investors backing them. When Thrive as a user of the SoPact ImpactCloud conducts a search the results are optimized towards IRIS standards because this is usually what impact investors seek. If a nonprofit that also works with farmers conducts a similar search we may optimize results towards Guidestar metrics (a system oriented towards nonprofits). Put simply, by knowing more of who you are and what you’re about, the ImpactCloud structures results so that you get what is most relevant to you at the top of the list. This feature is great for either generating new ideas or completing that idea that’s on the tip of your tongue. It can bring you right to the exact metric you’re looking for before even hitting the return key. Using our friends at Thrive again, let’s say they implement a variety of conservation programs with their partners in Costa Rica, from water, to energy, to environmental. To see all the metrics relevant to conservation they need to simply start typing C-O-N-S-E-R...and a list of keywords relevant to conserve or conservation metrics is likely to appear. This gives an instant view of the results landscape, empowering users to even discover metrics they may not have searched for in the first place, but which may be even more appropriate for their needs. The SoPact ImpactCloud is designed to give you Google-like searchability in a metrics landscape that is often frustratingly opaque. You and your teams, no matter the language or level of expertise, gain access to a more efficient workflow within the world of metrics building. That way, you can focus more on what matters – on implementing your programs or selling your impactful products. We’re happy to jump on a call so you can leap into the ImpactCloud today. The world of impact metrics is just a free demo away.